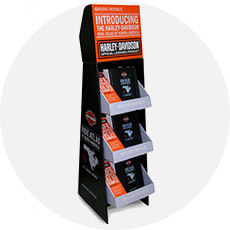 We offer many printing options to best match your display or packaging requirements. 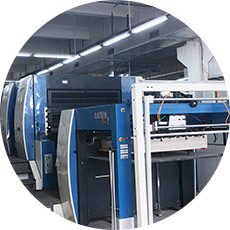 Using lithography, flexography, and digital printing technology, we work to achieve your desired print quality and budget. 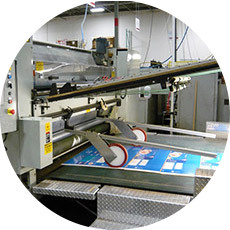 Litho Laminating – Lithography produces photo-quality printing. In this process, we can print your high-resolution graphics directly to paper and then mount that paper to corrugated board. This process is needed when very high-quality printing is required. Flexography ( Flexo ) – This is the most basic form of printing on corrugated, usually 1-3 colors. This process is perfect for your logo or simple art. This type of printing places the artwork directly on the corrugated board. Digital – Includes applying fully-color print directly onto the corrugated board or many other substrates. This is a cost-effective process that is great for relatively short runs and samples. 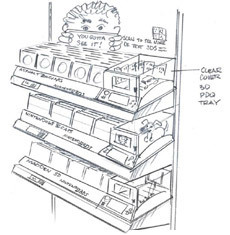 We have Independent plant dedicated to manufacturing your point of purchase displays and retail packaging. With Full sets production equipment, such as printing machine,pp lamination machine, mounting machine, cutting machine etc. Our machines handle many materials, including corrugated, solid fiber (SBS), foam core, and more. We are able to tightly control costs and produce displays and packaging more quickly than the competition. 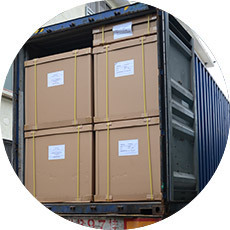 We have long-term logistics partner, practiced international sea and air shipping experience, FOB, CIF, DDU,DDP acceptable.